The Art Gallery of New South Wales is pleased to announce Heaven and earth in Chinese art: treasures from the National Palace Museum, Taipei. The exhibition is a rare opportunity to encounter some of the highest artistic achievements in Chinese history. Featuring 87 masterworks the exhibition explores the extraordinary creativity of Chinese artists over the centuries, with objects dating from 5000 years ago in the Neolithic period to the nineteenth century. Director of the Art Gallery of NSW, Dr Michael Brand said the National Palace Museum holds one of the world’s finest collections of Chinese art with the majority of its holdings originating from the Imperial collections of the Qing dynasty (1644–1911). “One of the most-visited museums in the world, the National Palace Museum in Taipei has a collection of outstanding beauty and historical importance. “Heaven and earth in Chinese art presents the ancient Chinese philosophical concept of tian ren he yi , the harmonious coexistence of nature and humans within the cosmos, which holds particular relevance today as we face the environmental challenges of contemporary life,” Dr Brand said. “The Art Gallery of NSW is the first cultural institution to host these extraordinary objects in Australia providing local audiences an exclusive opportunity to see how Chinese art speaks to the modern world,” Dr Brand added. Dr Chen, Chi-nan, Director of the National Palace Museum, Taipei, said the museum has had a long-term commitment to international cultural exchange and has successfully curated a large number of exhibitions in Europe, America and Asia from its collection. 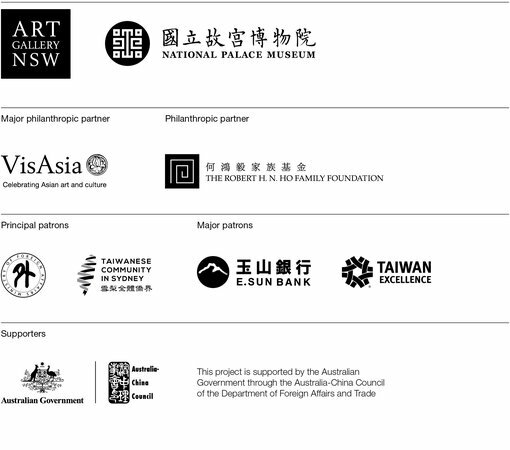 “Despite this impressive record, the National Palace Museum, Taipei, has not exhibited in the southern hemisphere, until now,” Dr Chen said. “Major highlights from the National Palace Museum collection travelling to Sydney include one of its most popular treasures: the Meat-shaped stone – a Qing dynasty masterpiece. This is only the third time it has been seen outside Taipei,” Dr Chen said. The Meat-shaped stone , carved from jasper and set in a decorative gold stand, draws thousands of admirers a day. 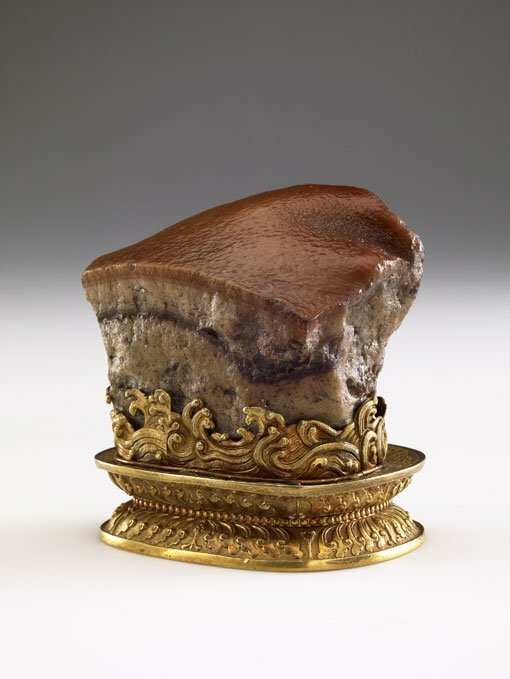 The stone most closely resembles the dish dongpo rou which is believed to have been invented by Su Dongpo (also known as Su Shi), an 11th-century Chinese poet and artist. Art Gallery of NSW exhibition curator and curator of Chinese art, Yin Cao said Heaven and earth in Chinese art showcases the many ways in which Chinese artists have represented the trinity of heaven, earth and humanity. “Since the earliest times, the Chinese have created imaginative stories and rich symbols to explain the unfathomable aspects of the world around them. Each work in Heaven and earth in Chinese art tells a unique story of the society in which it is created and bears a broader cultural and philosophical meaning,” Cao said. “From the miniature carving of an olive pit to one of the longest paintings in Chinese history, this exhibition presents the highest level of artistic skill and advances in technology over the different eras, and shows the aspiration of Chinese artists as they try to capture the essence of nature and the world around them,” Cao added. Heaven and earth in Chinese art presents paintings, calligraphy, illustrated books, bronzes, ceramics, jade and wood carvings divided into five thematic sections – Heaven and earth, Seasons, Places, Landscape and Humanity. The exhibition is accompanied by a book Heaven and earth in Chinese art: treasures from the National Palace Museum, Taipei edited and written by exhibition curator Yin Cao with Dr Karyn Lai, associate professor of Philosophy in the School of Humanities and Languages at the University of NSW. It includes catalogue entries by National Palace Museum curators. To celebrate the 2019 Lunar New Year the Gallery will present a series of public programs including a special edition of the Wednesday night Art After Hours program featuring Benjamin Law and Adam Liaw in conversation, as well as lion dances, calligraphy workshops and live music by Sophie Koh. Families can enjoy fun art-making workshops to bring in the Year of the Pig and explore the exhibition with a creative children’s trail and wall labels written especially for kids.The Gallery’s Lunar New Year program takes place throughout the opening week of the exhibition. Additional public programs in association with Heaven and earth in Chinese art include a five-part lecture series exploring Chinese art through the ancient philosophical concept of tian ren he yi ; an access workshop offering free artist-led experiences for adults with specific needs; and an artist-led artmaking session inspired by the exhibition for people living with dementia and their care partners, as part of the Gallery’s ongoing art and dementia programming.